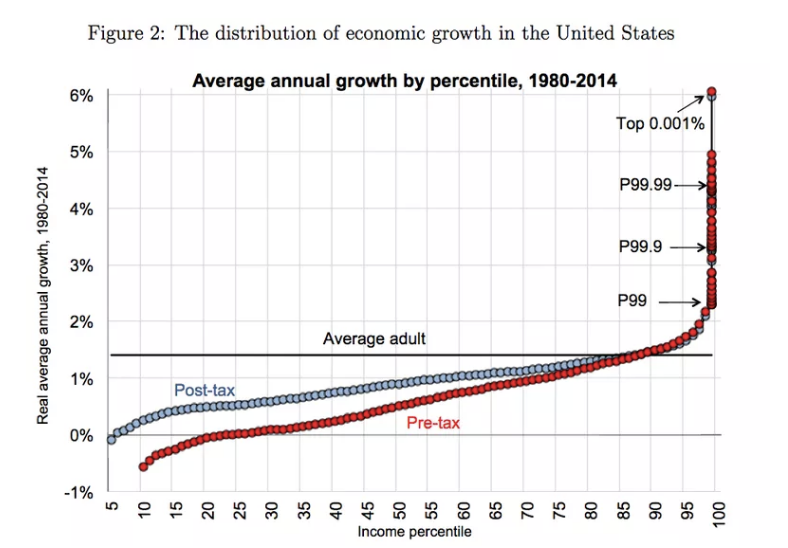 The background context for the new research is that a growing number of conservative economists and policy analysts, most notably Cornell’s Richard Burkhauser and the Joint Economic Committee’s Scott Winship, have argued that even though the data is right, the takeaway message (that the middle class has barely benefited since the 1970s, or that it’s gained a lot less than it should given productivity growth) is false. When you put those factors together, the conservatives’ contention is things aren’t all that bad — the standard of living of middle-class families has grown quite a bit from the 1970s to the present. Most liberals and leftists concerned with inequality have argued with this not by disputing the underlying numbers but by pointing out that it’s a rather odd conservative defense of the way the economy works.